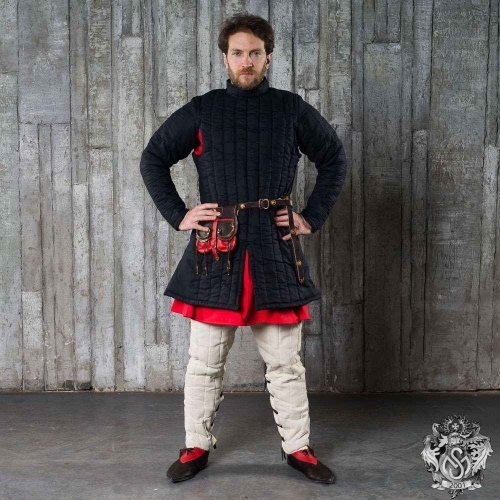 The most popular medieval gambeson of X-XII centuries among European knights. 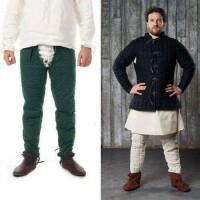 Warriors worn such type of gambeson under the chainmail, and in this case gambeson had 4-6 layers of padding. 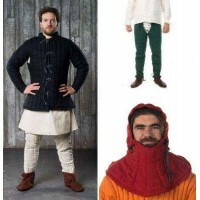 If you plan to wear it under brigandine or plate armour, so 3 layers of padding will be enough. Closed Gambeson had been pulled over the head and had a lacing on the back side of neck. More often it has being made of linen or wool, but gambesons made of leather or cotton are known too. Such models are typical for medieval knights, who were taking a participation in crusades and were seeing the war on the Holy Land. For better protection, we recommend to use this gambeson together with chausses and brigandine. Ideal value for such money. 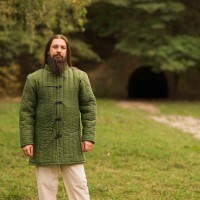 If you need an instruction how to take care your gambeson, just follow the link.